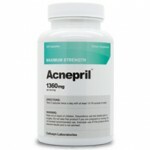 The closest thing to a cure for acne is a treatment that preemptively fights acne. Murad Clarifying Body Spray claims that its unique formula and system can help you win the fight against acne. Is this true? We need to look at the ingredients and product details to make that determination. Murad Clarifying Body Spray is an acne-fighting remedy with an original delivery system. 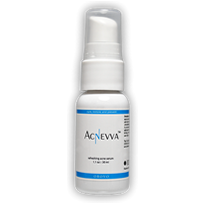 This spray-on treatment contains a strategic formula of key ingredients that kill bacteria, heal existing acne, and protect the skin from future breakouts anywhere on your body. The spray contains antibacterial agents as well as acne-fighting and hydrating ingredients. By adding this skincare product to your daily routine you can purify your skin from head-to-toe and emphasize where necessary.Each ingredient in this formula has a specific purpose for healthier-looking skin. 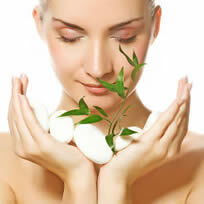 The use of 0.5% Salicylic Acid penetrates the skin to clear pores and keep pores clean. Triclosan is an antibacterial agent that eliminates bacteria on the surface of your skin. While these ingredients treat and prevent breakouts, Retinol helps heal the skin from acne scarring. Retinol is a healthy dose of Vitamin A that exfoliates damaged layers of skin and increases cell turnover to diminish acne scars. For a complete package, Murad Clarifying Body Spray also contains skin conditioners to keep the skin hydrated for overall skin health. Is Murad Clarifying Body Spray Safe? The side effects associated with this spray include excessive dry skin and peeling. The best way to test your tolerance for this formula is to try one application daily. Some people may find this product convenient, while others might find this product inconvenient as the liquid has to dry on the skin for a period of time. It is also mentionable that there is no time frame for any expected results, which means clear skin could take weeks or even months.